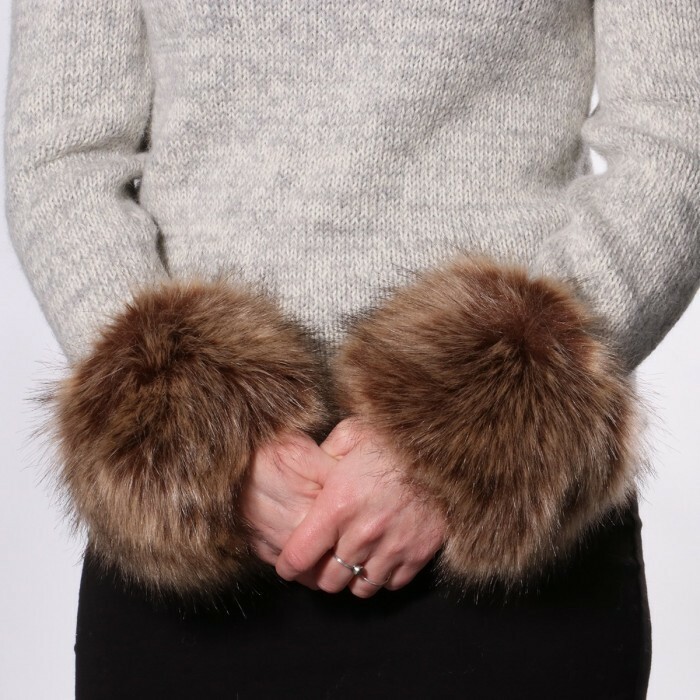 This beautiful fur detail for the wrists adds the perfect touch to your handcrafted sweater, cardigan or coat. It is made of acrylic, but it is difficult to see that it is not real fur, since it resembles real fur. A really beautiful imitation that measures approx. 7.87 inches (20 cm) in length and 5.9 inches (15 cm) in width. You will love it, and so will the animals. Please note that the price is per piece.